Finding the perfect Destin Hotel or Place to Stay is easy with Destin hotels, condos, houses, and vacation rental homes to suit nearly every taste and budget. From newer, resort-style properties to inexpensive hotels in Destin, the area offers a lot of choices with nightly, weekly and long-term vacation rentals. Destin is unique form many other beachfront areas because there is a thriving and diverse beach condominium business- in fact, the amount of condo rental units outnumber the hotel rooms almost ten to one. Due to this, Destin is a great choice for families and couples looking for a vacation property with plentiful amenities but the privacy and comfort of their own rental unit. 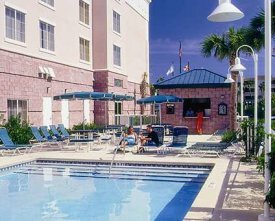 If you prefer hotel accommodations, Destin has many beachfront hotels and resorts. These properties are ideal for those who are planning a shorter vacation or prefer the full-service amenities of a large hotel. Whatever your choice of lodging, you are sure to have a great time in the Panhandle. Destin, Florida is a magical location with beautiful white sand beaches, crystal clear waters of the Gulf of Mexico and a small town atmosphere and charm- isn't it time to start planning your vacation?